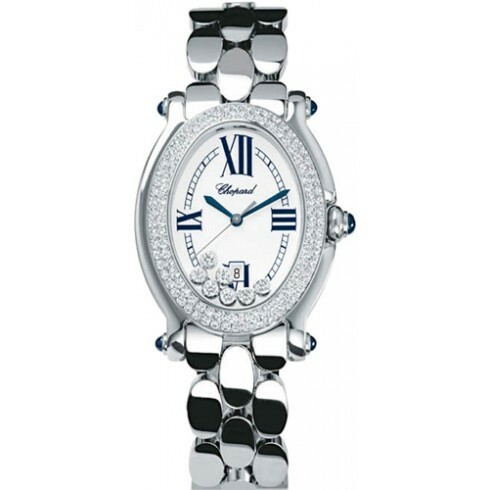 This watch is also known as: 27893723 , 27/8937-3005 , 278937-3005BLR . 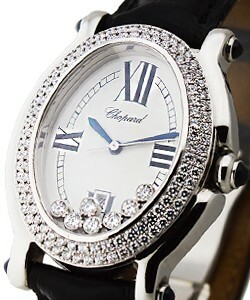 A lady will be more than glad to have this Chopard Happy Sport Model # 27/8937-23 (278937-3005). 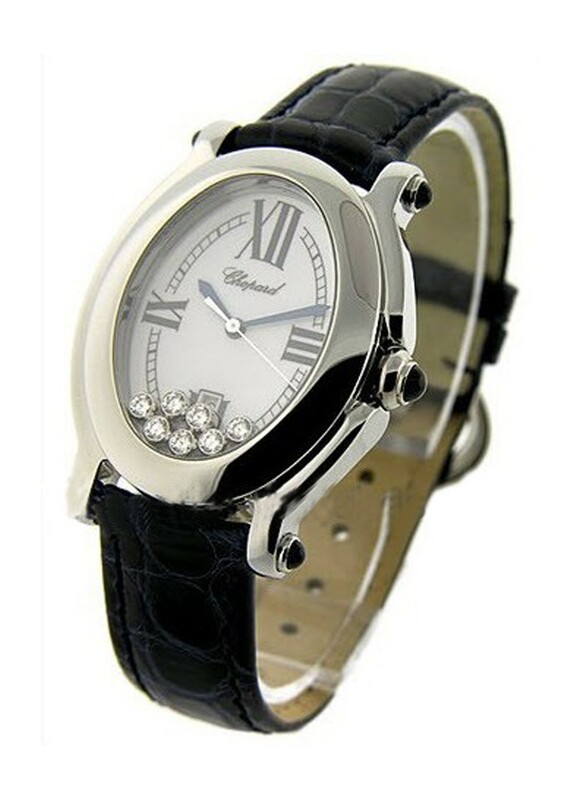 This precise Swiss quartz features white oval dial with 7 floating 0.39-carat diamonds, blue sword-shaped hands, Roman numeral and index markers, and date display at 6 o'clock position. 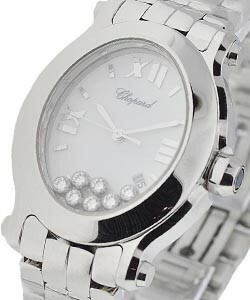 The 35-mm x 30-mm Chopard Happy Sport 27/8937-23 is housed in a polished stainless steel case with 4 sapphire cabochon on lugs and a sapphire cabochon crown protected by a scratch-resistant sapphire crystal. 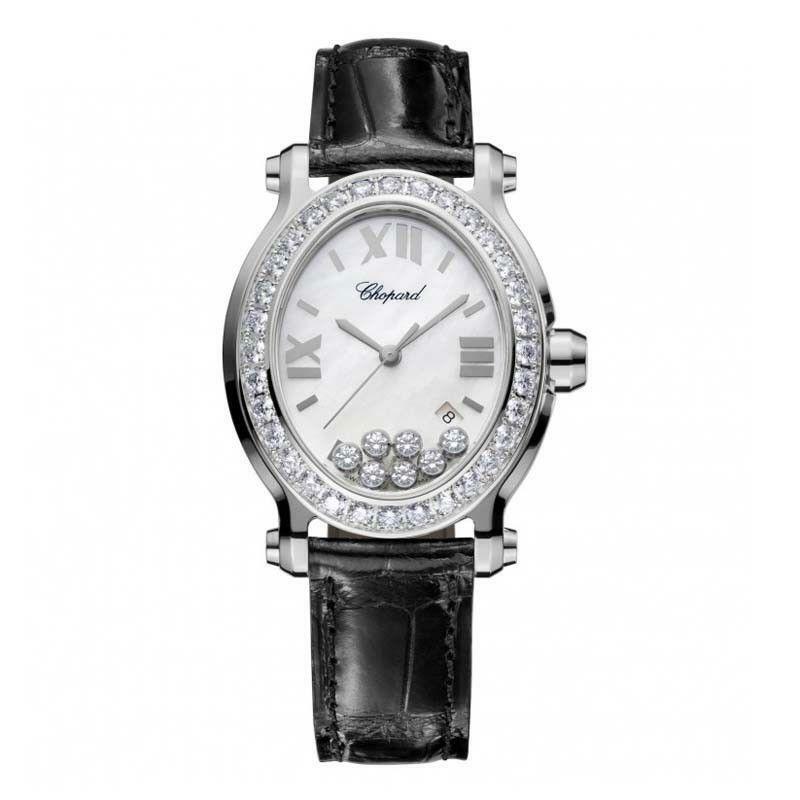 The Chopard Happy Sport 27/8937-23 also comes in black alligator leather strap with tang buckle. This timepiece is water-resistant down to 30 meters (100 feet).